Microsoft was dealt a huge blow by Motorola Mobility after the latter was granted an injunction by the Mannheim Courts in Germany, preventing the Redmond-based software giant from selling online or in German stores its Xbox 360 games console and Windows 7 operating system. The results of this court case is just one of several which are said to include around 50 patents that the phone maker claims Microsoft should have licensed. The conflict centers around Microsoft's use of Motorola Mobility's patents for the H.264 video compression standard, which is used widely in the industry. The patent itself describes a way of reducing the size of video files and is licensed under fair, reasonable and non-discriminatory (FRAND) terms. Microsoft rejected the original licensing terms, claiming that such an agreement would result in the software giant paying an annual bill of around $4 billion. Motorola disputes that figure. "We are pleased that the Mannheim Court found that Microsoft products infringe Motorola Mobility's intellectual property. As a path forward, we remain open to resolving this matter. Fair compensation is all that we have been seeking for our intellectual property," a spokesperson said in a statement. The court's decision effectively means Microsoft must remove all infringing products from sale from the German market, although a seven day grace period has been given during which time the OS maker can appeal. That said, it's unlikely it will ever get to the point where that will happen. Motorola will most likely use the court win as leverage to get licensing agreed, plus backdated compensation for past usage. 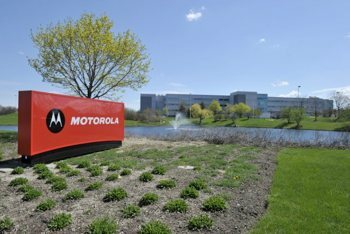 "This is one step in a long process, and we are confident that Motorola will eventually be held to its promise to make its standard essential patents available on fair and reasonable terms for the benefit of consumers who enjoy video on the web," said a spokesman for Microsoft in a statement. "Motorola is prohibited from acting on today's decision, and our business in Germany will continue as usual while we appeal this decision and pursue the fundamental issue of Motorola's broken promise." As a precaution, Microsoft moved its European distribution center from Germany to the Netherlands last month, to minimize the possibility of any potential disruptions. This case follows on from a decision by the US International Trade Commission (ITC) last week, which also ruled that Microsoft's Xbox 360 games console is infringing patents owned by Motorola. A hearing in the US has been set for May 7, although it's possible the Judge will delay the ruling until a later date.